It is surprisingly easy to misfuel a motorbike. Here’s an example of a beautiful Ducati Motorcycle filled with diesel instead of petrol. Unfortunately the rider had started the bike and it soon broke down. We were able to drain all the wrong fuel and get the bike going again. 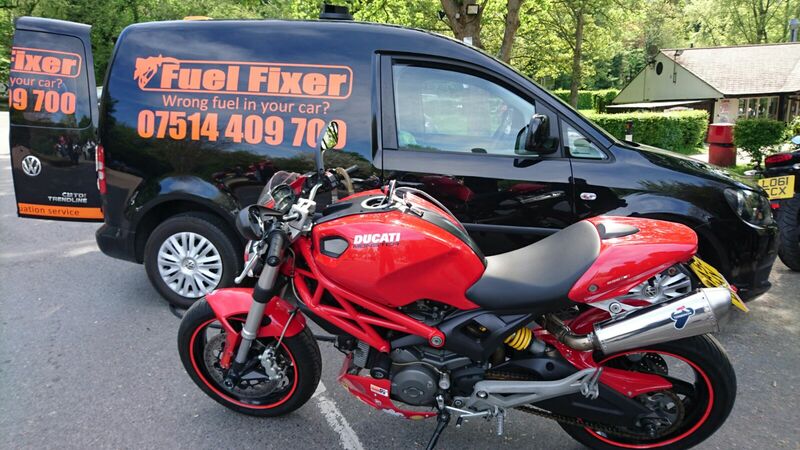 So, if you have the wrong fuel in your bike – give us a call. We can help get you going again.